Jobs, Announcements and Events, oh my! Hello blog readers! There is so much news in the public service world that it turns out we have one last post before the Thanksgiving holiday after all. Unlike the usual single-issue post this one includes JOBS, ANNOUNCEMENTS and EVENTS. Scroll down for the latest. No pretty pictures today, “just the facts ma’am.” Best wishes for an enjoyable and relaxing holiday weekend. The blog will be back full steam and on the regular posting schedule December 2. White House OSTP Internship Program—Now Accepting Applications for Spring & Summer 2014 (current students)The White House Office of Science and Technology Policy is currently accepting applications for its Spring and Summer 2014 Legal Internship Program. Students who are U.S. citizens are welcome to apply. More information, including application deadlines and instructions, is available at: http://www.whitehouse.gov/ostp/about/student/.About the OSTP Internship Program. Law students who would like to apply for this program have a unique opportunity to gather insights into the practice of law at the highest levels of the United States Government. Prior OSTP Legal Interns have worked on a wide range of challenging substantive matters, including employment, appropriations, fiscal law, government contracts, ethics, information disclosure, international agreements, litigation, and pending legislation. OSTP’s “small firm” environment provides law students with the opportunity to work closely with senior attorneys, gain practical legal experience, and network with other emerging members of the legal profession. Interns work under the supervision of OSTP’s General Counsel. Students who are U.S. citizens and who are enrolled in law school or LLM programs are encouraged to apply using the “Legal Division” application on OSTP’s website. Legal interns are accepted for one of three annual terms (Spring, Summer, or Fall). Each term lasts up to 90 days. While these positions are without compensation, the assignments provide educational enrichment, practical work experience, and network opportunities with other individuals in the science and technology policy arena. Questions. For questions about OSTP’s Legal Internship Program, please contact Jennifer Lee at jlee@ostp.eop.gov. The Bertha Fellowship is for emerging lawyers (0-2 years out of law school) who are interested in gaining both practical experience working on CCR cases and a theoretical understanding of how legal advocacy can create social change. CCR will host three Bertha Fellows, starting in September 2014, one in each of our docket areas: (1) Guantánamo Global Justice Initiative; (2) Government Misconduct/Racial Justice; and (3) International Human Rights. Fellows will work alongside attorneys in each of these docket areas. The Bertha Fellowship at CCR is sponsored by the Bertha Foundation which hosts emerging lawyers at several legal organizations across the world. In addition to gaining legal experience on CCR cases, Bertha Fellows at CCR will have opportunities to (1) attend regional and international meetings, (2) network with lawyers from around the world and (3) receive additional mentoring and non-traditional training such as leadership, management, media and advocacy, activism and movement building. The Northwest Workers’ Justice Project is a non-profit legal advocacy organization in Portland, Oregon, whose mission is to defend and strengthen the workplace and organizing rights of low-wage temporary and immigrant workers in Oregon, the Pacific Northwest and nationwide. At NWJP, we are guided by the belief that all workers share the fundamental human right to live and labor with dignity, safety, and hope. NWJP seeks a Staff Attorney to provide employment-related legal assistance to low-wage temporary and immigrant workers throughout Oregon. The central focus of the position is client representation in the areas of wage and hour violations, workplace discrimination, and employer retaliation. Required qualifications: Ability to establish trusting relationships with low-income clients and cultural competence to address the legal needs of immigrant workers; Excellent communication, writing, and research skills; Ability to work independently and as a team player; Ability to think creatively, and willingness to implement unconventional strategies; Demonstrated commitment to social justice; Oregon bar or willingness and eligibility to take next available Oregon bar exam. Preferred: Current membership in good standing in any state bar; Proficiency in spoken and written Spanish strongly preferred; Demonstrated litigation skills; experience in employment law; Demonstrated commitment to workers’ rights. Applicants are encouraged to apply before January 10, 2013. Please send cover letter, resume, writing sample and references, with “Staff Attorney” in the subject line, to attorneyapplicant@nwjp.org. NWJP is an equal opportunity employer. We especially encourage applicants who will contribute to our diversity to apply. Pamela Booth, Assistant District AttorneyThe Los Angeles County District Attorney’s Office (LADA) will be accepting applications for the position of Deputy District Attorney I from December 2, 2013 to December 13, 2013. On Wednesday, November 27, 2013, a web link to the exam bulletin will be posted online at http://da.lacounty.gov/hr/default.htm. Applications will ONLY be accepted via ONLINE FILING. To apply online, please see the Tips to File Your Application on the District Attorney’s website http://da.lacounty.gov/hr. MINIMUM REQUIREMENTS: No experience required. If you have any questions which are not answered online at http://da.lacounty.gov/hr, you may call the Human Resources Division (Exams Unit) at (213) 202-7730. The Project Manager is a temporary full-time, exempt employee in our Seattle office. The position is planned for January 1 – July 31 with the possibility of becoming permanent. This position is roughly 70% organizing, training, and facilitation, 15% direct fundraising, and 15% grants management.Qualifications & qualities: Project planning experience—demonstrated ability to create and execute a project that meets expectations; Excellent facilitation skills, including working with people from diverse backgrounds; Demonstrated commitment to social justice issues and a strong social justice analysis; Experience developing and leading workshops and trainings, preferably with an anti-oppression focus; Ability to quickly build strong relationships with members and grantees; Ability to motivate and engage volunteers and build a strong, functional team; Self-motivated, effective problem-solver; Computer skills including Microsoft Office and databases (eTapestry a plus); Willingness to work as a team on a variety of tasks; Willingness to work frequent evenings and weekends, and travel occasionally; Community organizing experience; Fundraising experience; Strong communication skills; Fearlessness about asking—for money, time, etc. ; Sense of humor. Social Justice Fund is an Equal Opportunity Employer. Women, people of color, and LGBTQ individuals are encouraged to apply. A full benefits package is available, including 100% employer paid health and dental insurance, vacation, and sick leave. Anticipated salary range is $40,000-45,000, DOE. Find the full job description here. Please email your cover letter and resume to hr@socialjusticefund.org by end of day December 9, 2013. 1) Save the date for the Public Interest Law Association’s 19th Annual Benefit Auction! The auction will be February 1, 2014 at the Husky Union Building. Tickets are on sale now online at pila.ejoinme.org/registration. Questions? Contact us at pila@u.washington.edu. 2) Each year, the Public Interest Law Association awards 15-20 grants to students working public interest and non-profit jobs. These grants are funded through an auction in the spring—and many of the items are procured by students. Applying for a grant is pretty simple, but you need to volunteer hours with PILA. Luckily, you can waive these hours if you procure enough items for the auction! Procuring items is easy, fun, and vital in ensuring PILA Grants continue to benefit UW Law Students. If you’re thinking about applying for a Grant this spring, the easiest way to get your hours is by taking part. When you’re with your family this Thanksgiving and Christmas, think about local stores you can contact, gifts you can donate, or activities you can provide for the auction. Almost anything works–from a $20 gift card at a local coffee shop to a weekend stay at your family’s timeshare! Donation forms are available on the door of the PILA Office in Room 130 (also the SBA Office) right outside Room 127. Please contact Michael Caulfield at mcaulfi@uw.edu with any questions. The Center for Public Service Law has planned our third annual San Francisco Public Interest Law City Visit for Friday January 17, 2014. On that day we will visit 4 public interest/public service agencies – 2 in Oakland and 2 in San Francisco. This year we will visit a variety of organizations including the National Council on Crime and Delinquency, the US Citizen and Immigration Services (USCIS) and two more sites awaiting final confirmation. Over the past 2 years 13 UW Law students have taken this trip and visited different public service and public interest sites, receiving excellent exposure to public service law in San Francisco. Why attend? If you are interested in seeking summer positions in the San Francisco Bay Area or if you think you might practice public interest law in the Bay Area after graduating then this is a great opportunity to get a sense of the lay of the land. At each place we visit, the organization will give us a brief presentation and then lawyers on staff will answer our questions. Meeting the public interest lawyers in these offices will help you to begin building relationships — which is vital to “breaking in” to a new community. None of the employers we visit can guarantee our jobs for students, but students have created important connections and at least one secured an externship. Two other organizations we have visited have welcomed collaborative projects with students or hosted Equal Justice Works fellowship applications, based on us establishing relationships with them through the city visits. How to RSVP: contact Dean Storms at mestorms@uw.edu if you are interested in attending or if you have additional questions. Please do so by December 10 as we will want to confirm a minimum number of participants in order to goforward with the trip. In past years, our Summer Corps program has given AmeriCorps education awards to law students serving during the summer only. Now law students can earn education awards throughout the year. Because of the expansion, we will now refer to our program as AmeriCorps JD. Law student slots throughout the school year will be available for placements where students provide legal assistance to low-income and homeless veterans or victims of disasters. Students can serve in any nonprofit organization, but they must be supervised by a licensed attorney. Please note that students receiving school credit for their service must get permission from their school’s administration to also receive an AmeriCorps education award. Students who receive compensation in excess of $4,300 for their service are not eligible. Learn more about AmeriCorps JD! A Legislative Panel Featuring: State Representative Matt Manweller, LD 13,State Representative Norma Smith, LD 10 and State Representative JT Wilcox, LD 2 Join Discovery Institute and the Washington Policy Center for an inside look at the 2014 legislative session. Legislators will provide up-to-date information on the 2013 special sessions and share their first-hand knowledge of the issues they face in the upcoming 2014 legislative session. This event will be held at Discovery Institute located at 208 Columbia Street in downtown Seattle. A reception will begin at 5:30 PM followed by the program at 6 PM. A selection of wine and hors d’oeuvre will be available. For more information and to register online, please click here. If you have questions or would like to register by phone, contact Anna Salick at 206-292-0401 ext. 102. 2. Discovery Institute: December 12: Are Hedge Funds Evil or Misunderstood? A Luncheon Featuring Timothy Spangler, Author of One Step Ahead: Private Equity and Hedge Funds After the Global Financial Crisis For many Americans, the term ‘hedge fund’ conjures up visions of greedy Wall Street investors making back room deals, possibly on insider information. But the truth is, few really know what hedge funds do, or how they contribute to the U.S. economy. In his new book, One Step Ahead, Timothy Spangler provides a compelling account of how flexible and entrepreneurial investment firms can prosper in a volatile and rapidly changing financial world. He also examines the new regulatory environment and how it hinders economic growth, while doing little to prevent a new crisis. Join us for a special luncheon and book signing – sponsored by Discovery Institute’s Center on Wealth, Poverty and Morality – on Thursday, December 12th at noon. Sandwiches, chips and sodas will be provided. Suggested donation is $10 at the door. For more information and to register online, please click here. 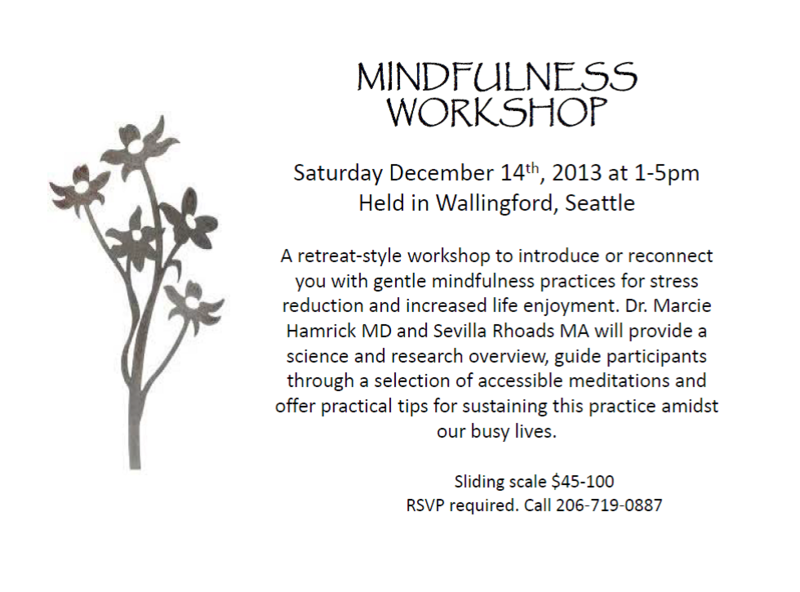 If you have questions or would like to register by phone, contact Anna Salick at 206-292-0401 ext. 102. If you are thinking about starting a nonprofit, this is the workshop for you. If you know someone in South King County (Kent, Renton, Tukwila, SeaTac, Federal Way) who wants to start a nonprofit, let them know about this workshop by forwarding this email to them. We will discuss what you need to know before you start a nonprofit, alternatives to nonprofits, and how to start a nonprofit. This interactive, hands-on workshop is designed for individuals or community groups who think they want to create a nonprofit to do their work in the community. This workshop is part of WAACO’s South King County Nonprofit Legal Training Series. This series of trainings are supported with funding from The Seattle Foundation and United Way of King County. LAST: Don’t forget we do have one more Social Justice Tuesday presentation for this quarter– November 26: Social Justice Tuesday- “History did not end in 1965”: Shelby County and the Voting Rights Act, 12:30-1:20 Gates Hall 133. Missed one or both of the Friday Fall Quarter Public Service Law Career Building Workshops? Here’s your chance to catch up on some of the presentation materials we used for our workshop series on Public Service Law Career Building Essentials. Nuts and bolts of public service resumes and cover letters click here. Self assessment and developing your pitch/narrative click here. If there’s enough of a demand we might offer more these Friday workshops in January. Please email Aline Carton-Listfjeld if you like more of these workshops offered next quarter. benefit from continuous addition to and revision of online content instead of waiting for the annually updated print edition. In this discussion, we will address the Voting Rights Act, the Court’s decision in Shelby County, the effects of the Court’s ruling, and what interested observers might do in response. Professor Lisa Manheim will give a short lecture on the implications of that decision for the future of elections in this country with respect to race and socioeconomic class. 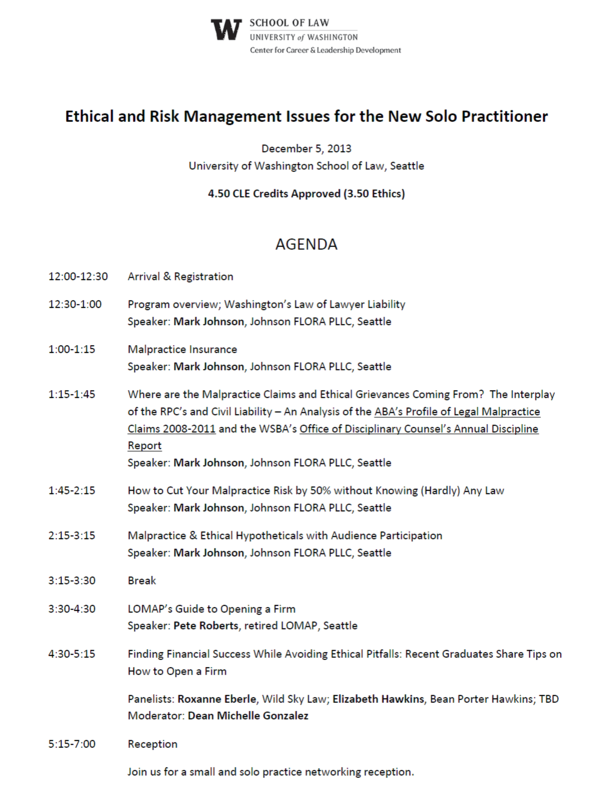 If you would like lunch please RSVP via Symplicity or gatespsl@uw.edu by Monday, November 25. 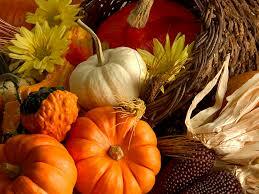 November 28: Happy Thanksgiving UW Law Community! Thinking about starting your own private practice firm to do plaintiff-side public interest work? Don’t miss this must attend CLE! Awesome Opportunities- Bring it On! Have an entrepreneurial idea for social justice organization ? Interested in some seed money and technical support to launch this organization? Echoing Green’s Fellowship Programs will offer more than $3.8 million in seed-stage funding and support this year to emerging leaders working to bring about positive social change. From thousands of applicants, only about 1 percent are ultimately awarded a Fellowship. During their first two years, Fellows receive up to $90,000, participate in leadership development gatherings, and have access to the powerful network of Echoing Green Fellows, partners, and friends. We continue to support our Fellow community long after their initial funding period with ongoing programs and opportunities at critical inflection points in their organizations or careers. We believe investing in and supporting the right people relative to the right ideas and ability to execute, rather than specific business plans, results in a lifetime of leadership. Echoing Green has invested over $33 million in seed-stage funding and strategic assistance in nearly 600 world-class leaders driving positive social change around the globe. Echoing Green Fellows include the founders of Teach For America, City Year, College Summit, Citizen Schools, One Acre Fund, and SKS Microfinance. The Global Fellowship is our twenty-five year-old program for smart young leaders who are deeply connected to the needs and potential solutions that may work best for their communities. Any emerging social entrepreneur from any part of the world working to disrupt the status quo may apply. The Open Society Black Male Achievement (BMA) Fellowship invests in emerging leaders dedicated to improving the life outcomes of black men and boys in the U.S. The BMA Fellowship unlocks access to the vast communities of Echoing Green and Open Society Foundations. The Climate Fellowship, announced in 2013, is specifically targeted for the best next-generation social entrepreneurs committed to working on innovations in mitigation and adaptation to climate change. The 2014 Echoing Green Fellowship Application will be open from December 3, 2013 to January 6, 2014. Center for Children & Youth Justice (CCYJ) is a private non-profit organization dedicated to reforming the state’s juvenile justice and child welfare system. Lawyers Fostering Independence (LFI) program is an initiative within the CCYJ that connects former foster youth with pro bono legal representation on civil legal issues. A part-time legal intern/extern is sought. This person will work closely with the LFI Managing Attorney, conducting client screening, outreach and substantive legal research, and some administrative tasks. The extern may also have the opportunity to work more hours and gain experience in other practice areas if interested in other projects at CCYJ. This internship/externship is open to all law students. Time commitment: Varies between 10-20 hours per week and can be extremely flexible around your schedule, though we ask that you try to work at least 5 hours, two days a week. We also require a commitment for at least two quarters. Recommended Skills: Demonstrated interested in child welfare, juvenile justice, or related fields, and/or experience working with youth, at-risk families or underserved communities. Supervision/Training: Direct supervision by an attorney; training provided as needed. Application Process: Send resume, transcript (unofficial is ok), and cover letter to the LFI Managing Attorney, Serena E. Holthe at sholthe@ccyj.org. Writing sample and two professional references may be requested if selected for interview. Application Deadline: Applications are accepted on a rolling basis. Columbia Legal Services seeks an experienced bilingual attorney to work on a broad range of systemic legal issues affecting farm and other low-wage workers and their family members in Washington, but particularly in the Central Washington region. The range of potential issues the attorney may work on include employment, health care, housing, food, benefits, and economic justice. Experience working with immigrant and indigenous populations on basic human needs or farm worker employment issues is strongly desired and bilingual skills in Spanish/English is required. The position is full-time and will be located in Yakima. The position is open until filled. For complete job description and application instructions please click here. The Southern Poverty Law Center (SPLC) seeks an attorney to join its Immigrant Justice Project office in Atlanta, Georgia. The SPLC is dedicated to fighting hate and bigotry, and to seeking justice for the most vulnerable members of our society. Our Immigrant Justice Project works on cases involving the rights of immigrants in nine southern states. Representative cases include large scale litigation on behalf of victims of trafficking, class actions on behalf of guest workers based on violations of their federal employment rights, and civil rights litigation related to anti-immigrant laws, policies, and practices. Applications accepted on a rolling basis. For complete job description and application instructions please click here. The Northwest Immigrant Rights Project is seeking law student applications for summer internship positions in its Granger, Seattle, Tacoma and Wenatchee offices. These internships are unpaid, but NWIRP will work with applicants to secure outside funding or academic credit. Interested applicants should apply to each office individually by sending a cover letter and resume to the contact person listed here with “2014 Summer Internship” in the subject line. For complete job descriptions and application instructions please click here. Full consideration will be given to applications received by December 5, 2013. No applications will be accepted after February 15, 2014. Patti Goldman, Vice President for Litigation at Earthjustice, leads the organization’s ten regional offices in developing and implementing effective legal strategies to protect the environment for future generations. Patti works with Earthjustice’s managing attorneys to coordinate the legal program, knit together the work throughout the regions, and ensure that the organization achieves long-range goals. Patti Goldman, Vice President for Litigation, leads the organization’s ten regional offices in developing and implementing effective legal strategies to protect the environment for future generations. Patti works with Earthjustice’s managing attorneys to coordinate the legal program, knit together the work throughout the regions, and ensure that the organization achieves long-range goals. As Vice President for Litigation, Patti works with Earthjustice regional offices to mount strategic campaigns that produce lasting and often groundbreaking environmental safeguards. Whether addressing global warming, toxic pollution, wildlife protection, or management of lands owned by the American people, Earthjustice chooses cases for maximum, far-reaching impact. Patti ensures that our actions will continue to catalyze broad environmental protection, prevent irretrievable losses, and ensure that the laws already on the books stay there and are put to work to protect a healthy environment for future generations. 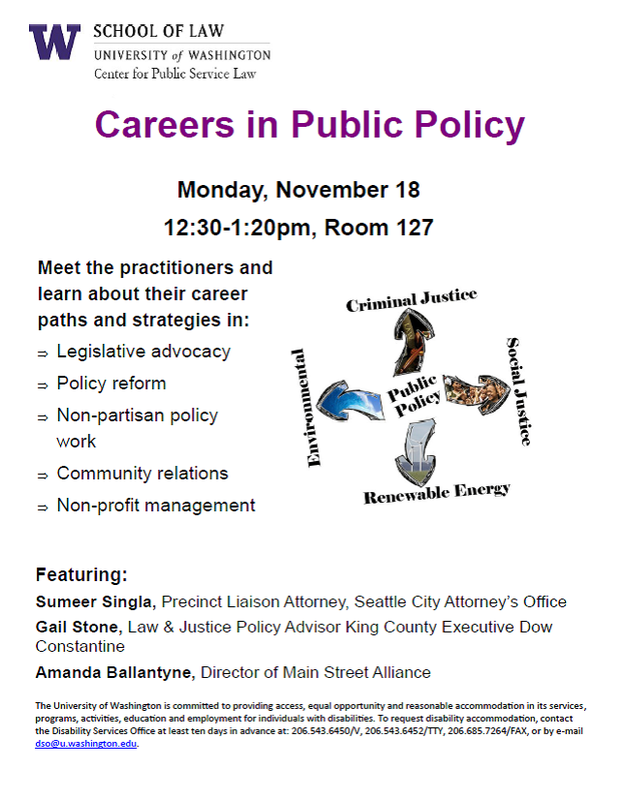 If you would like lunch please RSVP via Symplicity or gatespsl@u.washington.edu by 12:00 pm Monday, November 18, 2013. No RSVP for lunch accepted after 12:00 pm. Interested in working directly with detained immigrants? The Center for Human Rights & Justice (CHRJ) is partnering with the Northwest Immigrant Rights Project (NWIRP) Tacoma office to provide application assistance for immigrant detainees at the Northwest Detention Center in Tacoma, WA during the Winter quarter. In immigration proceedings, detainees have no right to free counsel. By volunteering, you are assisting pro se detainees in filling out their applications and drafting declarations for immigration relief (i.e. asylum, withholding, cancellation, etc.). Volunteers will receive training by a NWIRP staff attorney prior to visiting the detention center. All final work will be reviewed by a NWIRP staff attorney prior to submission to the Immigration court (EOIR). Transportation is available should you require it. This is volunteer work is pre-approved for the Pro Bono Honors Program. If you are interested in participating or have questions about this volunteer opportunity, please contact Melody Young at myoung8@uw.edu. 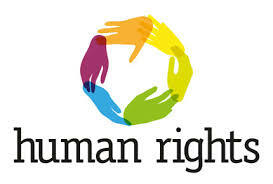 What are human rights and how can they be useful to me in my case strategy, litigation and overall work? Join the Local Human Rights Lawyering Project on Thursday, November21 at 12:30pm ET/9:30am PT for a free online webinar, Human Rights 101. This webinar will focus on the basics of human rights law, the universal and regional human rights systems, and how human rights law can be used in U.S. courts and before U.S. policymakers. The one-hour free webinar will be led by Hadar Harris, Executive Director of the Center for Human Rights & Humanitarian Law at American University Washington College of Law. To register for the webinar, click here. Washington, D.C. – Today, Three Degrees Warmer, a climate justice project based in Washington State, helped six faith-based groups file an amicus curiae (“friend of the court”) brief in the U.S. Court of Appeals for the D.C. Circuit to support young people suing the federal government for not acting to reverse climate change. Late last month, attorneys for five youth appellants and two non-profits filed their opening brief in the D.C. Circuit court arguing that they have a constitutional right to the benefits of a protected atmosphere and a safe climate system. As relief, the youth appellants seek a comprehensive federal Climate Recovery Plan, which would reduce U.S. emissions based on the prescription that Dr. James Hansen and other leading international climate scientists say will restore our atmosphere to 350 parts per million (ppm) by the end of the century. The youths’ lawsuit was filed with the help of Our Children’s Trust, an Oregon-based non-profit orchestrating a game-changing, youth-driven legal campaign in the United States and across the world. The case relies upon the long-established principle of the public trust doctrine, which requires all branches of government to protect and maintain certain commonly shared resources fundamental for human health and survival. Continue reading here. Today, the ACLU published an in-depth study of people imprisoned in the U.S. with no chance of parole for nonviolent offenses – including relatively minor drug and property crimes such as taking a wallet from a hotel room or serving as the middleman in the sale of $10 worth of marijuana. We found that at least 3,278 prisoners are serving these sentences in federal and state prisons combined. A Living Death: Life Without Parole for Nonviolent Offenses documents the thousands of lives ruined and families destroyed by sentencing people to die behind bars for nonviolent offenses and analyzes the laws that led to these harsh sentences. The 110 prisoners profiled in A Living Death are extreme examples of the millions of lives ruined by the persistent ratcheting up of our sentencing laws over the last forty years. As the report makes clear, we must change our sentencing practices to make our justice system smart, fair, and humane. In addition to interviews, correspondence, and a survey of hundreds of prisoners serving life without parole for nonviolent offenses, the ACLU based “A Living Death” on court records and data from the United States Sentencing Commission, Federal Bureau of Prisons, and state Departments of Corrections obtained through Freedom of Information Act and open records requests. Read the full report here. A project of the National Employment Law Project (NELP), the Peggy Browning Fund is a nonprofit organization established in memory of Margaret A. Browning, prominent labor attorney and member of the National Labor Relations Board. The mission of the Peggy Browning Fund is to educate and inspire the next generation of law students to become advocates for workplace justice. Through Summer Fellowships, an annual National Law Students Workers’ Rights Conference and networking opportunities, we provide diverse, challenging work and educational experiences in the area of workers’ rights. Our goal is to increase the students’ understanding of the current issues workers face as well as promote the students’ entry into the practice of public interest labor law. 3. Working with policymakers and community coalitions to make economic development accountable to community needs and create living wage jobs for local residents. Summer legal interns will assist NELP attorneys in all aspects of their work. Interns will perform legal research and writing in support of policy advocacy, litigation and community education, and will assist in drafting manuals, articles and policy briefs for publication. Interns may also work with NELP’s National Wage and Hour Clearinghouse, a growing movement of unions, community groups, worker centers, legal services, plaintiff’s attorneys and public agencies working to make headway against wage theft and the erosion of the minimum wage floor and right to overtime pay. Applications due by January 17. For complete description and application instructions please click here (must be a PSJD.org subscriber). In the Fall, Legal Services of Northern California begins its recruitment process for third-year law students preparing to take the California Bar Examination the following summer. For more than fifteen years, LSNC has hired at least one candidate, either through a fellowship or as a regular staff member, from among that year’s law school graduates. Depending upon staffing needs, LSNC may hire for any of its field offices or special projects, including its Auburn, Chico, Eureka, Redding, Sacramento, Vallejo, Woodland and Ukiah offices, through this process. LSNC accepts applications beginning in August and continuing through December, conducting initial interviews at various public interest career events and in-house between October and mid-February. Second interviews are granted to some candidates in March and offers are generally extended in April and continuing through the Spring and Summer as positions open. Since candidates are considered on a rolling basis, the process may not conclude until after the Bar Examination. Open to third-year law students preparing to the the California Bar Examination for the following summer. Applications due by December 31. For complete information and application instructions please click here (must be a PSJD.org subscriber). The Staff Attorney shares responsibility with other legal and advocacy staff for providing information, technical assistance, outreach and training and representation in administrative and judicial proceedings to clients with disabilities. The Staff Attorney works under the direct supervision of the Associate Managing Attorney and in collaboration with other Disability Rights California attorneys and advocates in their legal, advocacy, and outreach efforts. The Staff Attorney will focus his/her work on special education issues and the rights of people with developmental disabilities. The ideal candidate has knowledge about special education and laws that effect people with developmental disabilities. In addition, s/he has experience representing people with disabilities in a variety of forums including at meetings, hearings and in court. Applications due by November 15. For complete job description and application instructions please click here. The Crowley Program in International Human Rights is dedicated to promoting human rights scholarship and advocacy at Fordham Law School and around the world. The Program’s core elements include an annual two-week fact-finding project in another country, a human rights lecture and brown bag series, a summer internship program, and student research projects involving various human rights issues. The students involved in the project participate in course work, independent research, planning and conducting the project, and related follow-up work. The Crowley Program is administered by a fellow who is a law school graduate. As a member of the adjunct faculty of Fordham Law School, the Fellow will teach a seminar in human rights in preparation for the annual fact-finding project during the spring semester. The additional responsibilities of the fellow are substantial: planning all substantive and logistical aspects of the fact-finding project, participating in the project, writing and publishing a post-project report, and day-to-day administration of the program, including running a year-round lecture series, advising students seeking international human rights internships and post-graduation employment, and coordination with the human rights community. Applicants must have a J.D. and demonstrate a strong interest in international human rights issues. Applications due by January 31. For complete description and application instructions please click here (must be a PSJD.org subscriber). The National Senior Citizens Law Center (NSCLC) is at the forefront of efforts to obtain justice for America’s low-income older adults and people with disabilities, with a special emphasis on problems affecting people of color and women. Our advocacy efforts focus on access to health care, income support, long-term care, and access to the courts to enforce federal rights. Health Advocacy: The health advocacy team conducts strategic national litigation and administrative advocacy to preserve and expand access to Medicare, Medicaid, and long term care (both nursing homes and at-home care) for low-income older adults. The team also provides technical assistance and trainings to health advocates across the country. Law clerks will assist NSCLC attorneys with legal research related to litigation, administrative advocacy and health care reform implementation. Income Advocacy: The income advocacy team engages in systemic litigation and administrative advocacy to protect Social Security and Supplemental Security Income (SSI) benefits as these programs provide economic security and a critical safety net to the elderly poor. A recent court settlement, Clark v. Astrue, resulted in $1 billion in back benefits being restored to individuals who had been wrongly denied benefits. Several parallel cases are now being investigated; law clerks will assist with the development of this important litigation and with related income projects.